I'm probably the least violent person you're ever likely to meet, but I have to hold my hands up and admit that I do love a good first-person shooter. There's just something immensely satisfying about pulling off the perfect headshot, and who can ever tire of pitting their skills in the online arena? The core mechanics of the genre haven't changed all that much, you pick up your weapon and run round wreaking havoc (unless you're an annoying camper), but there have been a long line of great titles to enjoy. Weapons have ranged from simple knives to full-blown Titans, iconic playgrounds have included V2 Rocket Facility, Dust and Crash, and if you're good enough you may even have had the chance to nuke the hell out of everyone. 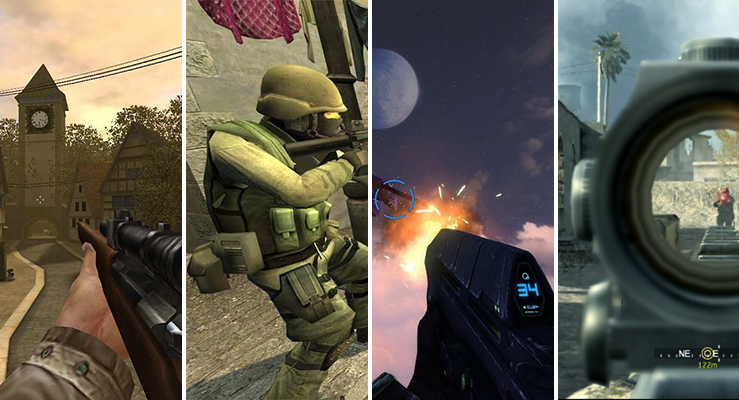 What makes an online shooter truly great is up for debate, so let's hear it: which is the best multiplayer FPS game of all time? Share your nominations, and your reasoning, using the comments facility below. Tribes 2, nothing has ever satisfied me more than getting a mid air spin-fuser shot while your flying through the air with a jack pack. Great team play mechanics which catered to all styles of play and all levels of skill. Old school COD was also good, can't remember which one it was, one with Omaha beach and that map with the trenches in the forest, headshots galore! Personally I don't like multiplayer FPS games, the last and only one I played was COD 4 and I was bored stupid after 30 minutes. I prefer co-operative games where you can play the normal game missions with friends. Maps and Arenas just don't offer any diversity in my mind. Quake… Unreal Tournament… Call of Duty: World at War… each the clearly dominant representative from their respective era… hard to call a best. No need to call a best.